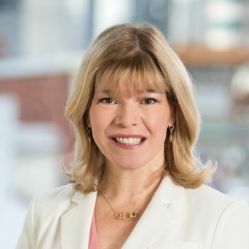 Senior VP of Commercial Operations, Apotex Corp.
Rhonda C. Anderson serves as the Chief Financial Officer for Ascension Healthcare providing strategic and operational financial leadership to the Chief Executive Officer and management team. Rhonda was previously President of Columbia St. Mary’s Business Development Division and Chief Financial Officer. Connie J. Brooks was part of Ascension, the nation’s largest non-profit and largest Catholic health system, for nine years, where she was responsible for providing leadership in the development of resources for access initiatives and support for local coalitions as part of Ascension’s goal of achieving 100% access and 100% coverage. She also provided leadership for Ascension’s efforts to integrate, streamline and coordinate work streams for the benefit of its local health ministries, and led several Community Health initiatives. 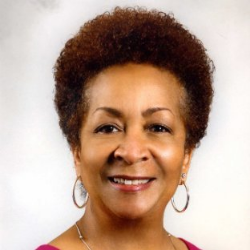 Ms. Brooks has more than thirty-five years of health care experience, with a commitment to public health and health disparities as the cornerstone of her career. Prior to joining Ascension Health, Ms. Brooks served in executive leadership positions with the State of Illinois Departments of Human Services and Public Health, as well as with local health departments and federally qualified health centers. Her career began as a public health nurse in her home town of East St. Louis, Illinois. She is also a nurse practitioner, with a Masters in Public Health. She has served as president of the Illinois Public Health Association, one of the largest affiliates of the American Public Health Association, is a fellow of the University of Illinois Public Health Leadership Institute, a Leadership St. Louis/Focus St. Louis Alumni, and a member of Delta Sigma Theta Sorority, the nation’s largest public service sorority. With nearly 20 years of Federal health policy experience, Craig has served in key roles at the center of a range of pressing health care debates. Bruce Compton is senior director of international outreach for the Catholic Health Association of the United States. He is based in the association’s St. Louis office. Mr. Compton is responsible for assisting and supporting CHA-member organizations in their outreach activities in the developing world. His duties include facilitating collaboration among CHA-member organizations and others, seeking to enhance the impact of international ministries. Additionally, he is responsible for education regarding international outreach issues and encouraging CHA members’ participation in various activities of international ministry. Compton lived in Haiti from 2000 to 2002, and he continued to work in support of health missions in the developing world after he returned to the U.S. He did so in his capacity as founding president and chief executive of Springfield, IL. based Hospital Sisters Mission Outreach, a ministry organization bringing surplus medical supplies from Midwest hospitals to medical missions in the developing world. Barbara Coughlin is the Vice President for Quality and Government Programs for the HCA Physician Services Group. Barbara provides oversight for all quality programs for Physician Services including the ambulatory physician practices and hospital based programs. 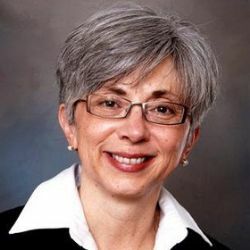 She also provides guidance and leadership around the Government Programs to include Physician Quality Reporting System, Meaningful Use, and Value Based Modifier. Barbara has more than 20 years of experience in healthcare focusing mainly on emergency medicine, ambulatory care, quality and risk, and process and operational improvement. Prior to joining HCA Physician Services Group, Barbara was the Vice President of Operations for QRx Medical Management and Questcare Partners. During this tenure, Barbara provided quality and operational oversight to 16 emergency medicine contracts. She opened and ran an urgent care center and started their physician practice management operations including the management of two physician practices. Prior to that, Barbara was the Director for Emergency Services in the Clinical Services Group at HCA, Inc. She worked at HCA for six years helping to lead the Emergency Services team, providing oversight to over 160+ emergency departments across the United States. During that time, she was also the technical lead in the implementation of multiple clinical documentation systems as well as the development of a data repository for reporting dashboard times across the 160+ emergency departments. Barbara previously worked as a healthcare consultant at Ernst & Young, LLP. She served as a consultant on multiple projects including revenue cycle improvement projects, clinical documentation implementations, coding and documentation review, and collections and accounts receivables system development. Barbara earned her Diploma in Nursing from The Christ Hospital School of Nursing in Cincinnati, Ohio and her Bachelor of Science in Nursing from The University of Texas Medical Branch in Galveston, Texas. She then earned her Master in Business Administration from The University of Cincinnati. Barbara is currently enrolled in the Doctor of Nursing Practice program at Texas Christian University with an anticipated graduation in 2016. Mr. Cunard joined Aurobindo in October 2011 as CEO of Aurobindo Pharma USA. During his tenure, Mr. Cunard has grown the business to be a top 10 pharmaceutical supplier in the US market, and grew revenue by more than four times. Mr. Cunard has more than 25 years of industry experience from the perspective of wholesaler, retailer, and pharmaceutical manufacturer/distributor. Prior to joining Aurobindo, Mr. Cunard was Vice President of Sales for Teva in the US, with responsibility for $4 billion in generic revenue and trade management for Teva’s proprietary portfolios. Prior to joining Teva, Mr. Cunard was President of Glades Pharmaceuticals, a wholly-owned generic subsidiary of Stiefel Laboratories, where, in addition to P&L responsibility for Glades, he was also responsible for lifecycle management of Stiefel’s brand portfolio. Mr. Cunard joined Stiefel Laboratories from Mylan Pharmaceuticals where he spent 7 years in various management positions within the Sales and Marketing functions, with the last position held as SVP Marketing and Strategic Development. Before migrating to the pharmaceutical manufacturer side, Mr. Cunard held pharmaceutical purchasing positions with Rite Aid and Value Drug Company. Mr. Cunard holds a BA from the University of Pittsburgh, and lives in New Hope, Pennsylvania with his wife and two children. Davis was named Chief Financial Officer in 2015, and was Vice President of Finance and Associate Chief Financial Officer since 2013. Prior to assuming the role of Finance VP, Davis was Corporate Controller for Saint Thomas Health, a position she held from 2005 through 2013. Davis began her career at Ernst & Young in Nashville, starting as staff accountant and advancing to audit manager. She joined Saint Thomas Hospital in 1998 as accounting manager, a position she held for two years. 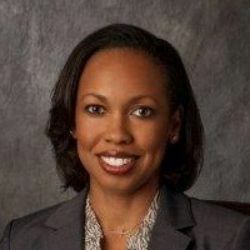 From 2002 to 2011, she served in increasingly responsible leadership roles, advancing from Finance Project Liaison to Vice President of Finance for Saint Thomas Hospital (now Saint Thomas West Hospital). Davis received her Bachelor of Science degree in Business Administration and her Master of Accountancy from the University of Tennessee in Knoxville. She has completed the Ascension Formation for Catholic Healthcare Ministry Leadership program. 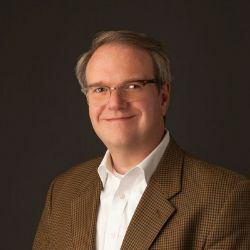 Davis is a former member of the Board of Directors of Alive Hospice and is currently a member of the Finance Board of the Diocese of Nashville. Timothy (Timm) L. M. Glover provides spiritual, strategic and collaborative leadership that helps deepen integration of Ascension Healthcare’s Mission, Vision, Values and Catholic Identity throughout all sponsored ministries and partnerships. 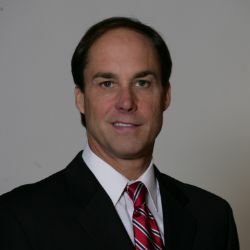 Jeff Hampton brings to Apotex Corp. over 30 years of pharmaceutical sales experience, with expertise in business development, marketing program administration, and sales operations serving retail, wholesale, and institutional accounts both in New Drug Application (NDA) and Abbreviated New Drug Application (ANDA) pipelines. In Jeff’s current role as Senior Vice President U.S. Commercial Operations, he is a distinctive leader and a strong contributor to our vision of an increased market presence in the U.S. Prior to joining Apotex Corp., Jeff held various positions including Senior Vice President Commercial Operations at Osmotica Pharmaceutical Corporation, where he was tasked with building the commercial foundation to successfully launch the products in Osmotica's pipeline. 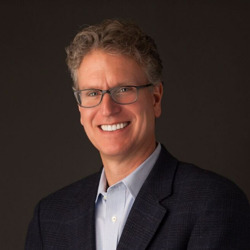 As Vice President Sales and Marketing with IVAX Pharmaceuticals / Teva, Jeff’s extensive experience in building and leading sales and marketing organizations positioned the company as a dominant player in the generic industry. Additionally, as Vice President, General Manager of Dabur Pharma US, Inc., Jeff established the US presence for Dabur Pharma Ltd, a global manufacturer and developer of generic oncology drugs. Jeff has a Bachelor of Science degree in Business Administration from the University of Florida. Since late 2013, Katherine Hempstead, PhD, has directed the Robert Wood Johnson Foundation’s work on coverage. She joined the Foundation in 2011 as a senior program officer in the Research and Evaluation unit. In addition, Hempstead works on issues related to health care price transparency and value. Previously, Hempstead was director of the Center for Health Statistics in the New Jersey Department of Health and Senior Services. She also served as statistician/analyst in the Office of the Attorney General, New Jersey Department of Law and Public Safety. She formerly served as an assistant research professor at the Rutgers Center for State Health Policy, where she currently holds a visiting faculty position. Hempstead previously held positions at New York University’s Wagner School of Public Service, and at Catholic University in Washington D.C. She completed a postdoctoral fellowship at the Office of Population Research at Princeton University. Born in New Jersey, Hempstead received a PhD in Demography and History from the University of Pennsylvania, where she also earned a BA in Economics and History. Mr. Hoey is responsible for overseeing all Mission Services and activities for St. Vincent’s Medical Center and St. Vincent’s Health Services with continued responsibility for the Pastoral Care Department and the Parish Nurse Program. Mr. Hoey helped establish the Hope Dispensary of Greater Bridgeport through his work with the Primary Care Action Group, a collaboration of area health service organizations. He now serves on the National Advisory Council for the Dispensary of Hope, a national not-for-profit enterprise which provides uninsured patients with access to life-saving medication. Prior to joining St. Vincent’s, Mr. Hoey served as vice president for Catholic Charities in the Diocese of Bridgeport, overseeing all aspects of the multi-program Catholic Family Services agency. While at Catholic Charities, Hoey was instrumental in developing a $7 million dollar housing project at the Thomas Merton campus, a reorganization of mental health services resulting in a productive working relationship with St. Vincent’s Behavioral Health Services, and an early childhood consultation project providing clinical assessment for at-risk children in Head Start and school readiness programs. Mr. Hoey also implemented a community outreach and prison ministry program, which provides formal representation to immigrants, and a program of clergy and victim assistance counseling for victims of sexual abuse. After graduating with a Bachelor of Arts degree in sociology from St. Anselm’s College, Mr. Hoey earned his master’s in social work with a dual concentration in clinical and administration from Fordham University. He also earned his Master of Arts in Health Care Mission (MAHCM) from the Aquinas Institute of Theology in Saint Louis. A past president, Mr. Hoey currently serves on the board of Bridge House. He also serves on the Sacred Heart University Nursing Department Advisory Board and is past board co-chair at the Greater Bridgeport HUD Continuum of Care. 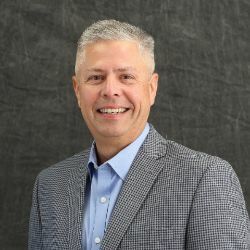 Brian has 37 years of Operations & Supply Chain experience in Pharmaceutical/Healthcare (16 years), U.S. Army (11years), Retail (3 years) and Automotive Industries (7 years). He is a strategic, transformational leader skilled at building high performance, global supply chain and manufacturing organizations. Currently, Brian is the VP of Supply Chain Operations for the Americas at VWR/Avantor Life Science Distributors and Manufactures. Prior to this, Brian was the SVP of Supply Operations for Qualitest and Par of Endo Pharmaceuticals, based in Huntsville, AL and the EVP of Supply Operations for Apotex Pharmaceuticals in Toronto, Ontario, Canada. He has also had VP level roles in Supply Chain at Teva, Baxter, McKesson, Lowe's and Tenneco Automotive. Brian is an avid Fitness nut, and competed on the 2015 NBC American Ninja Warrior TV show. He is the current Canadian Masters Track and Field Pole Vault National Champion, and the State of Alabama Seniors and Masters Pole Vault Champion. He is a Sky Diver, SCUBA Diver and maintains his private pilot’s license. Brian is married to his wonderful wife, Valarie, of 37 years, and they have a 30 year old son who lives in Austin, TX and works in the music industry. Brian is a retired US Army Lieutenant Colonel, having spent 28 total years in both the Active and Reserve components, serving as a Helicopter Pilot in various global locations, and a Fitness instructor at the US Military Academy, West Point. He holds a BS in Engineering from the US Military Academy at West Point, an MS in Physiology from University of Illinois, and an MBA in International Finance from Long Island University, CW Post. 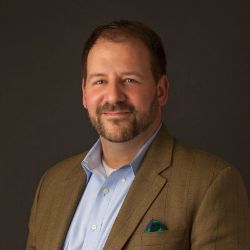 Jeff May is the Vice President, Product and Customer Solutions of Mylan North America, overseeing Strategy and commercial development of complex Generics including Respiratory and Neurology. Jeff joined Mylan, one of the world’s leading generics and specialty pharmaceutical companies, in August 2012. 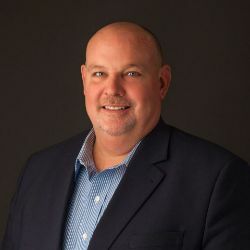 Previously, Jeff spent 25 years with Medco Health Solutions, the Prescription Benefit Management company where he held roles of increasing responsibility, most recently as SVP, Generic Pharmaceutical Strategy, after over 20 years building out the Drug Distribution and Control Department where he was responsible for Procurement, Contracting, Inventory Management, Financial Forecasting, Cost Accounting and Master File Management. 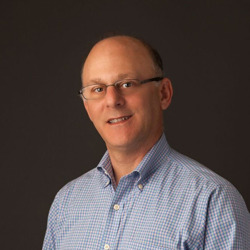 Jeff has served on the Board of the Juvenile Diabetes Research Foundation (JDRF) for Bergen/Rockland Counties and has had the privilege of working with the Dispensary of Hope for several years helping to develop and build out their generic pharmaceutical manufacturer donation programs. Jeff earned a bachelor’s degree in Business Administration, with a specialization in Operations Management, from Boston University. Jeff and his wife Claire have recently moved to Pittsburgh and have two grown sons, Zach and Matt, living in New Jersey and Montreal. Most healthcare administrators agree that healthcare in the US is unsustainably expensive and results in inadequate health outcomes among the un- and under-insured. Even after full Affordable Care Act implementation, this financial reality leaves 33 million of our friends, family, and neighbors without access to the services that sustain health. Chris’s career has been invested into healthcare innovation – integrating safety net healthcare infrastructure that serves low income Americans by reducing cost, expanding access, and improving quality outcome measures. Chris is the Chief Executive Officer of the Dispensary of Hope, a healthcare transformation social venture that provides medication to uninsured patients by working collaboratively with drug manufacturers, health systems, safety net entities, and other healthcare providers. The Dispensary of Hope collects surplus medication from thousands of physicians and drug manufacturers and distributes that medication to outpatient hospital pharmacies and safety net clinics where it is used to improve the health of those lacking healthcare coverage. The Dispensary of Hope manages two millions dollars a month in distributed medication, working with some of the nation’s largest healthcare delivery organizations. Chris and the gifted DoH team works hard, laughs often, experiences the joys and struggles of entrepreneurism, and thoroughly enjoys the challenge of changing the world. Before serving at the Dispensary of Hope, Chris worked as an independent healthcare consultant and as an internal program development consultant with Ascension, the nation’s largest non-profit health system. 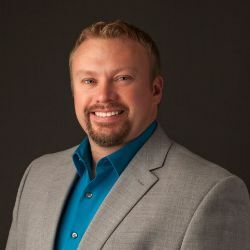 Chris is also the former Executive Director of the Medical Care Access Coalition in Marquette, Michigan, a regional health planning and delivery coalition featured by the Rural Health Association as a replicable example of healthcare transformation. Chris’s role at the Medical Care Access Coalition was to oversee a multi-county State Children’s Health Insurance (SCHIP) 1115 Waiver Program, which, for almost a decade, provided affordable care to thousands of the region’s most economically complex and chronically ill residents. Chris also had a significant role in establishing and expanding the Medical Access Program, a 15 county volunteer physician program that leveraged positive community will and thoughtful organization to bring healthcare services to tens of thousands of Upper Michigan residents. Chris is a former career missionary, and carries a life mission to serve vulnerable populations domestically and abroad. Chris is a fellow with the American College of Healthcare Executives. He earned a Master of Healthcare Management from Lindenwood University (St. Charles, MO) and a Master of Arts from Wheaton College (Wheaton, IL). In October 2009, Chris was presented with the Nashville Business Journal’s 2015 Forty under Forty recognition and the 2006 Emerging Leader in Healthcare Transformation Award from Communities Joined in Action. Though natives of Detroit, Michigan, Chris, his wife Nancy, and amazing daughters, Elizabeth Grace and Madeline Joy, live in Nashville, Tennessee. Mary Paul is Vice President, Ascension Mission Integration, with responsibility for leading the Solidarity Center of Expertise. In this role, Mary helps ensure that Ascension’s decision-making, programs, practices, and innovations reflect its Gospel commitment to persons who are poor and most vulnerable, with an eye toward understanding and addressing the structural causes of poverty. This will be accomplished by collaboratively leveraging the full complement of Ascension Healthcare, Subsidiary, and Solutions resources and by helping to assure that cultural practices reflect and promote this commitment. Mary began her service to Ascension in 1995. 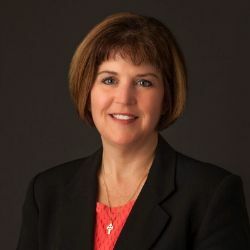 Prior to this role, Mary served as a member of the senior executive leadership team for Ascension Information Services (AIS), an Ascension subsidiary organization. There, she oversaw many large-scale general healthcare and technology transformation efforts at both the national and local levels. Some of these include consolidation of disparate Information Technology (IT) operations, integration of site-specific physician and hospital billing, implementation of numerous electronic health record programs, and the development and implementation of the IT Merger and Acquisition strategy and playbook. Mary maintained a special focus on clinical systems technology including the clinical business intelligence strategy, and collaboratively led the system response to the American Recover and Reinvestment Act (ARRA). Mary’s roles ranged from local and regional Chief Information Officer, to AIS Senior Vice President. While serving in this full-time role, Mary also pioneered and advanced the model of Mission Integration leadership within a subsidiary, a model now used in other subsidiaries and solutions. 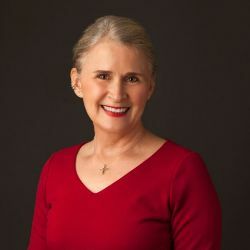 Mary earned a bachelor’s degree in health information management from the University of Texas Medical Branch in Galveston, Texas; and a master’s degree in theology and healthcare mission from the Aquinas Institute of Theology in St. Louis. Mary is a graduate of the Ascension Executive Management Formation program, and is a graduate member of the Ascension Leadership Academy. Mary resides in Chicago with her husband, James. Together with her husband she enjoys traveling, studying Spanish, spending time with family, and her two birds, Mango and Ziggy. Greg Pope serves as Chief Mission for Saint Thomas Health. He joined Saint Thomas Health in 1996 and oversaw the work of Saint Thomas Health Foundation for more than 15 years. 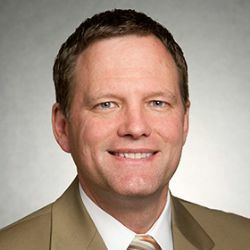 A Fellow in the Association for Healthcare Philanthropy (AHP), he is a past Board Chair for the Association and directed AHP’s Madison Institute on Healthcare Philanthropy at the University of Wisconsin School of Business. He also served as President for the Ascension Health Council on Philanthropy, a consortium of Catholic health-related foundations sponsored by Ascension. Pope holds a BS in Economics from the University of Tennessee at Chattanooga and an MBA from Templeton Institute and Theological College, where he was named a Sir John Templeton Fellow in Church Administration. Brad Riley is the Lead Pastor of Faith Chapel Church in O’Fallon, MO. Brad and his wife, Beth, launched Faith Chapel with an in-house Bible Study in 1997. Under their leadership, the church has grown into a wonderful congregation committed to knowing God and making God known. They provide local ministry, missions opportunities and a weekly Web-Cast to help others. In their local endeavors to assist in the health needs of their community, Brad and Beth have started “Neighborhood RX Assistance.” This faith-based healthcare outreach connects those in physical need with pharmaceutical assistance by using Patient Assistance Programs. Brad was licensed as a minister in 1991 and was ordained with the Assemblies of God in 1995. Before launching Faith Chapel, Brad spent years ministering throughout the Country. He was a sought-after speaker for the DARE program, youth retreats, youth conventions, conferences and local church ministries. As well, he regularly helped to lead teams on short-term mission trips throughout Central America. Brad has served on the Board of Regents of North Central University, the premier college within the Assemblies of God, since 2009. In addition, he is actively involved in the ministry of Samuel’s House (La Casa de Samuel), an orphanage located just outside of Caracas, Venezuela. 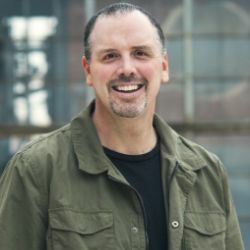 In 2013, Brad published his first children’s story, “Timothy: A Little Fish with a Big Purpose!” and he has enjoyed watching it swim up the charts on Amazon. A portion of all of the proceeds support the aforementioned Samuel’s House Orphanage. Brad married Beth (Wagner) Riley in 1995 and they have two wonderful daughters, Emma and Sophia Riley, whom they love dearly. 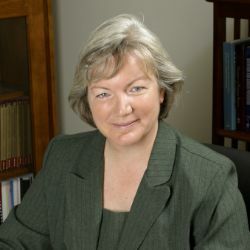 Roberts was named the UW School of Pharmacy’s dean in June 2003 after spending 15 years as an academic administrator and professor at the University Of Utah College Of Pharmacy. She recently returned to the faculty at UW and spent a year in Washington, DC as a Robert Wood Johnson Foundation health policy fellow in the office of Senator Edward Markey (D-Mass.). In September 2016, Roberts took on the role of Director of the new UW Center for Interprofessional Practice and Education. Roberts received a BS degree in Biochemistry from Albright College (Reading, PA), a PhD in Medicinal Chemistry from the University of Minnesota and an MPH from the University of Utah. Stephen Rutledge is the Vice President of Sales for Amneal Pharmaceuticals. Rutledge has been in the Pharmaceutical industry since 1999. What began as a planned short-term involvement in the industry became a passion and a career focused on providing affordable medicine and a better way of life for those that he comes in contact with. While at Amneal, Stephen has been primarily involved in customer relationship initiatives, but has also been included in product selection, pricing, and contracts. Prior to becoming involved in the Pharmaceutical industry, Rutledge worked in sales with two Fortune 500 companies and was involved in starting three family businesses. Stephen attended Western Kentucky University with a focus in Business and Marketing. He and his wife Laura and their son Barton live in Scottsboro, Kentucky. Outside of work, his focus is on spending time with his family, enjoying the great outdoors together, involvement in his son, Barton’s activities, and attending church. Christine Simmon re-joined GPhA in 2012 as the Senior Vice President of Policy & Strategic Alliances, marking her return to the Association where she had served as Vice President of Policy, Public Affairs & Development from 2002-2006. In her current role, Christine is responsible for leading policy development and issues management, as well as building relationships with strategic partners in the health care sector. 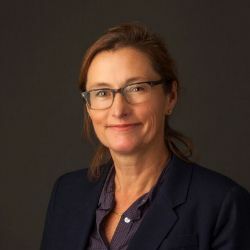 She also serves as the Executive Director of the Biosimilars Council, a division of GPhA that works to educate policymakers, patients and providers about biosimilars and ensure a legislative and policy environment that supports the development of this market. Before rejoining GPhA, Christine was the Senior Director of Public Policy for CVS Health, where she was the policy lead for the integrated retail, convenient care clinic and PBM enterprise at both the state and federal levels. Prior to that, Christine was a policy, strategy and communications consultant to the health care industry, specializing in pharmaceutical matters. Previously, Christine was a Senior Policy Analyst at BlueCross BlueShield Association, where she helped position the insurer as a leading voice on pharmaceutical cost and safety issues. Christine received her J.D. from Georgetown University Law Center and her B.A. from Georgetown University. Buck completed his BS Pharm at Butler University in Indianapolis, IN in 1997 and his Masters of Business Administration in Healthcare Management from University of St. Thomas in Minneapolis, MN in 2013. He is currently enrolled in the Pharm D program at Shenandoah University in Winchester, Virginia. 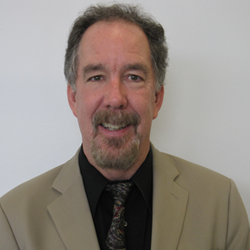 Mr. Stanford serves as the System Pharmacy Operations Director at Intermountain Healthcare. He is also the Program Director for the PGY1 Community Pharmacy Residency program at Intermountain. Buck is a Utah delegate for APhA and has been active in APhA for nearly 20 years. 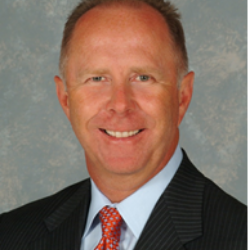 Prior to joining Intermountain in 2013, he held various field and headquarter leadership roles at Target Corporation for 13 years. Mr. Stanford is an active member of the following organizations: American College of Healthcare Executives (ACHE), American Pharmacists Association (APhA), American Society of Health System Pharmacists (ASHP), Utah Pharmacists Association (UPhA). He is also a member of the following honor societies: Rho Chi and Beta Gamma Sigma.